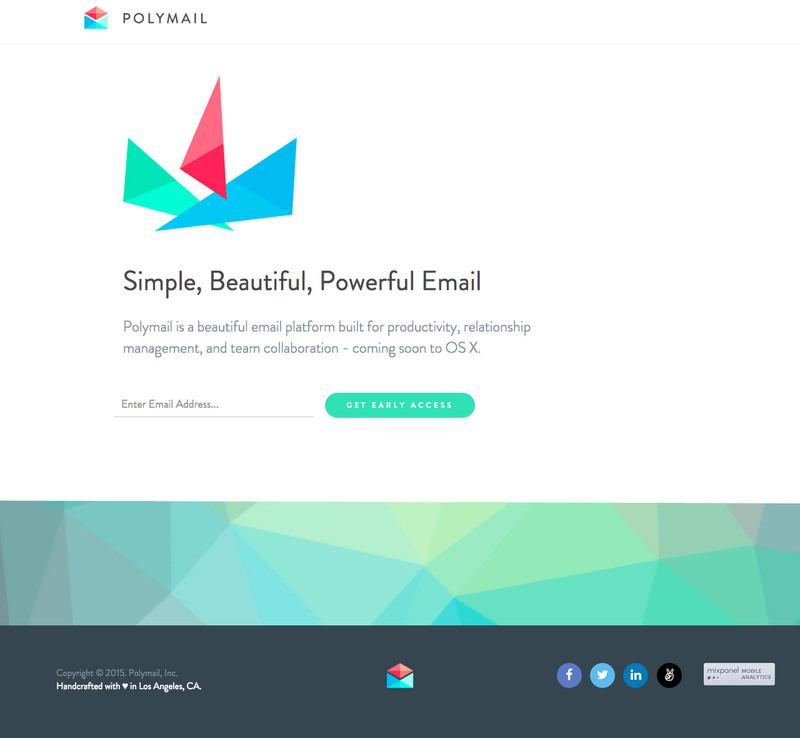 Launching soon page for a new email app called Polymail. Quite simple but nice touch with the shape load transitions on page load. Polymail is a beautiful email platform built for productivity, relationship management, and team collaboration - coming soon to OS X.